WE HAVE A WINNER!!! AMBER H.'S ENTRY WAS CHOSEN BY THE RANDOM NUMBER GENERATOR! Don't you want to win this? As you probably can guess, I think way too much about food. Besides feeding my family on a daily basis, I'm usually thinking up some new recipes, working on an article or two, pinning good-looking eats from other websites .... you get the picture. One recipe that has eluded me through all of this food obsession was a good recipe for vegan corn pudding. What is corn pudding you might ask? It is kinda like mushy cornbread, but better. My mom went through a phase of serving it up as a side dish for a while when I was a kid. Every recipe I have looked at uses too many eggs for me to easily substitute, and my attempts have not yielded what I am searching for. 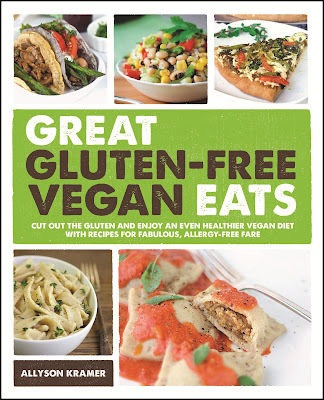 That is just one of many reasons that I jumped for joy when I received a copy of Great Gluten-free Vegan Eats to review. 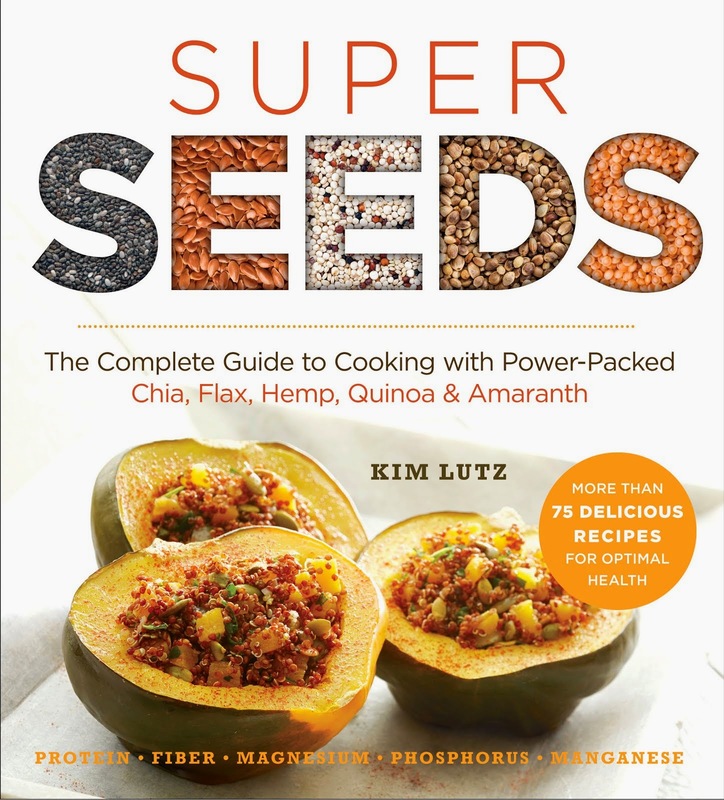 This delightful cookbook is written by Allyson Kramer, the blogger behind Manifest Vegan, a completely awesome website. Great Gluten-free Vegan Eats is just what I would have expected from such a talented recipe writer and food photographer. The book is gorgeous and filled with dishes that I think most anyone would want to rush to cook. And, by the way, the corn pudding was just as good as I remembered it. Don't you want a copy of this cookbook, too? Good thing the publisher will send one to one of my lucky readers! To enter, leave a comment about why you'd like to win this book after this post. For another chance, "like" Welcoming Kitchen on Facebook and leave another comment saying that you did (or already do), for another "follow" Welcoming Kitchen on Twitter (@welcomekitchen) or Pinterest and leave comments with that info, too. Remember, I need to be able to let you know that you won. Either check out this post or the Facebook page on Wednesday, September 5 or leave contact info in your comments. I will pick a winner after noon CST on Wednesday, September 5, 2012 using a random number generator. I have recently been experimenting with going gluten free and this would be perfect! I followed you on twitter! and on Pintrest! I would love to win this giveaway! As a broke vegan student cookbooks are a luxury.. thank you for this opportunity! i lost 80 lbs and recently went raw for 30 days! i'm thinking a gluten free, vegan lifestyle is the perfect landing place. i was looking up books and saw this one and then saw you were having a giveaway! i follow you on twitter (@AmberNHumphries) and on pinterest (Amber Humphries) and on your facebook (Amber Humphries). my email is amberhumphries at gmail.com! thank you so so much for the opportunity! 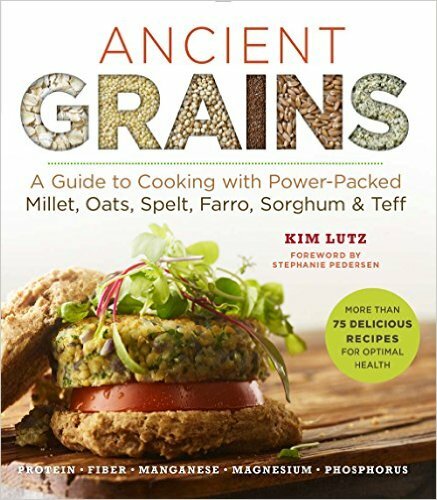 I would like this cookbook because I am always looking for more gluten-free recipes. I already liked your facebook. This is Amber's twitter comment. As a nine-plus year vegan, I have also become very interested in many alternatives ways of cooking and using inexpensive and new ingredients. I have a few gluten-free meals that I like to make and this would expand that knowledge. I love reading the Manifest Vegan blog, always so fun with great photos of yummy food! 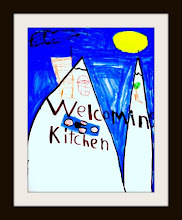 I "like" Welcoming Kitchen on Facebook! I am following Welcome Kitchen's boards on Pinterest! Last one, now following @KimLutz and Welcoming Kitchen on twitter! i'd like to try more gluten-free foods for my son to see if it helps with some behavior issues. I would love to win this book. I have recently developed a wheat allergy, and have been trying many new recipes to broaden the selection of tasty dishes! Thank you for posting so many fabulous recipes!!! My 2 year old has allergies to gluten, eggs, dairy and peanuts. I'm still learning the ways of allergy-free cooking for him, and a gluten free and vegan cookbook would be a great help to us! I am vegan and allergic to gluten and love the recipes on her blog. I would love a collection of recipes, because I'm always looking for new recipes! My brother is gluten free and I'm vegan sooo....this would be perfect for our house! I just liked you on FB. My 2 1/2 year old is intolerant to gluten, dairy, soy, eggs, corn, and peas. Since I'm nursing him, I'm off all of those things as well. I've been veg for almost 20 years and wasn't about to quit now. So I love, love, love your cookbook and would like to win a copy of the other one too! This is Emily's second entry (liking on Facebook got her a second). I also just liked the Facebook page! And now I am following Welcome Kitchen on Twitter! And lastly, I am following you on Pinterest. Thanks again! I'm gluten free, dairy free, meat free, nut free, and hungry. I hope this books helps rectify the situation. I would love to reduce the amount of gluten in my diet...this looks like a great place to start :) Thanks for the chance to win! I followed you on Pinterest too. I'm so excited for a chance to win this book!